“I dread the beginning of each day. I lie awake most nights wishing the hours away. 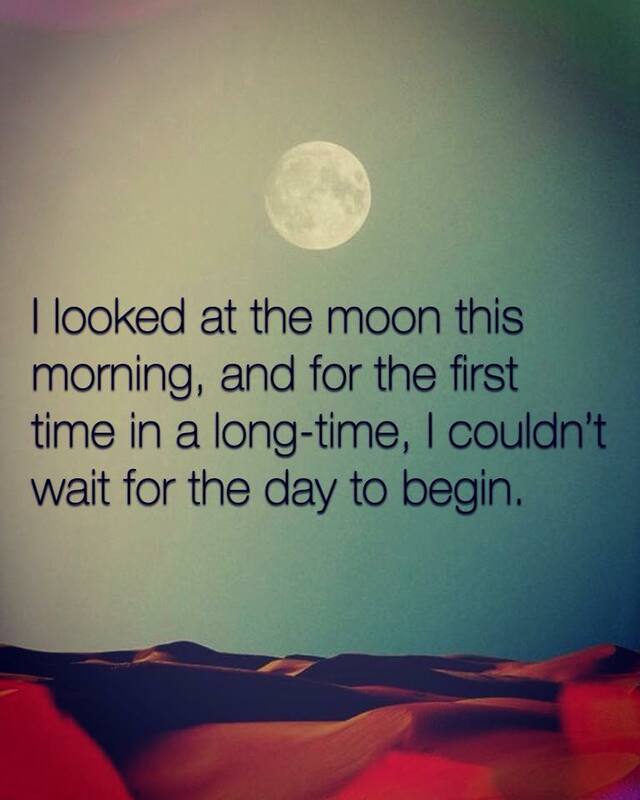 I look outside my window and stare at the moon, knowing that daylight is coming. I lock my bedroom door, and the keep the curtains closed so that the day doesn’t arrive. I hate it. But I can feel things slowly changing in me. A feeling of hope and l less heaviness in my mood. I can’t believe that today I woke up as I always do, I looked at the moon, and I kept the curtain open. I’m not dreading today so much. I’m going to get out and take a walk. I’m going to breathe in the fresh air.